Pro-slavery, or apologist literature has, justifiably, been largely abandoned in humanities’ discourse since Civil Rights; yet, due to the manipulation of superannuated slaves as involuntary spokespeople for enslavement within such works, no other genre offers more representations of the elderly enslaved in nineteenth-century America. Despite the racist rhetoric of apologist literature, a slippage exists between its “happy” fictions and the appalling realities of slavery, wherein its ugly truths and the agencies of the elder(ly) enslaved surface. What these schisms inadvertently reveal are coping mechanisms and acts of resistance by aged slaves significant to our understanding of this largely overlooked faction. Plantation literature presumed that white masculinity was under constant attack, and apologists apparently believed the most effective means of reinforcing their status was representing black males as dependent, effeminate, eccentric, and frail. In deforming aged-slave men into groveling, grotesque caricatures and excluding younger slaves from their narratives, male apologists positioned their white protagonists (and themselves, by extension) as the superior masculine specimens in their readers’ imaginations. This article is an in-depth consideration of 1) the ways in which white, male authors manipulated the slave “Uncle” to desexualize black men and argue the paternalism of chattel slavery, and 2) the unexpected acts of aged-slave agency that manage to reveal themselves through the blatantly racist caricatures of apologist fiction. Lydia E. Ferguson is a Limited Term Assistant Professor of English at Kennesaw State University. She earned her doctorate in English at Auburn University, where she studied the roles and representations of the elder(ly) enslaved in antebellum and postbellum American literature. 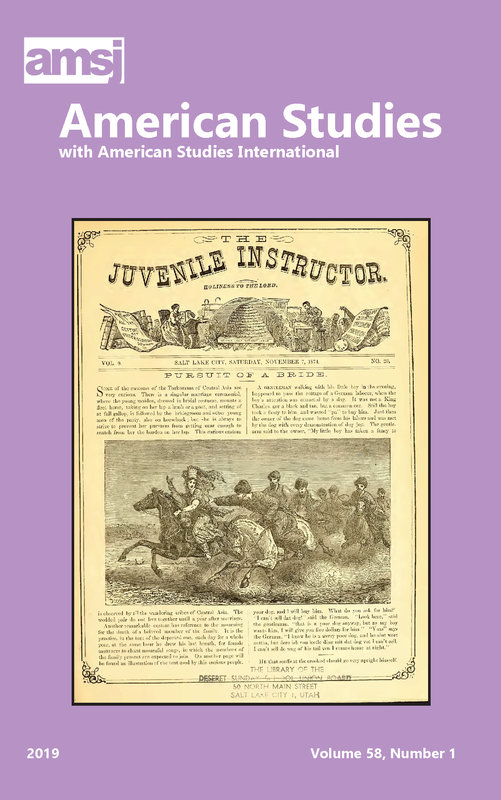 Dr. Ferguson’s research focuses primarily on the intersections and (mis)representations of race, gender, and old age in the literature and popular culture of 19th- and early 20th-century America. Her research and teaching interests also include performance, early media, and material culture studies.